Longboarding, as we all know, is a pastime that is becoming more and more popular. Longboard manufacturing companies are growing rapidly, and they are all competing to offer the best possible riding experience to longboard users. This is great news for both beginners and advanced longboarders, as new features make longboarding easier to learn for novices and help experts get more out of their board. 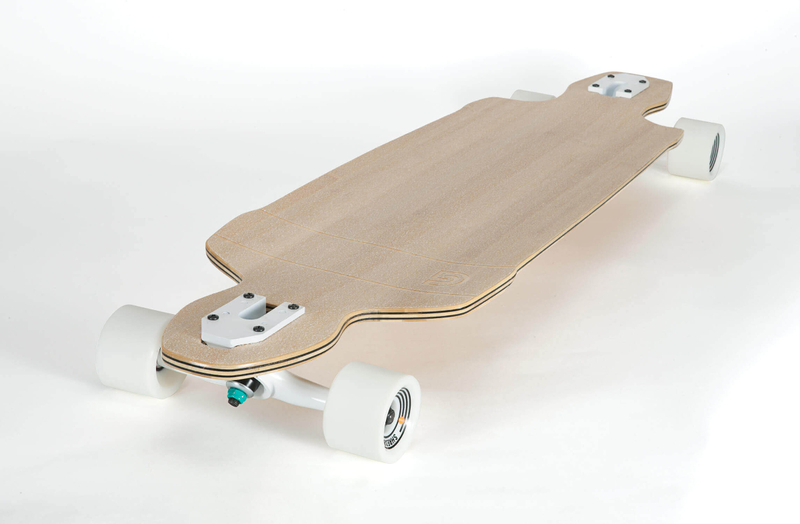 The concave of a longboard is the curvature that distinguishes it from a fully flat surface. The more curved the board is, the more concave it has. Some boards have almost no concave, for example longboards designed for freestyle board dancing. Old cruiser boards, or boards designed in the same old school style, will often be completely flat. Modern boards generally some type of concave, and this is one area where manufacturers have hugely innovated to provide a varied range of improvements for different styles of riding. A radial concave board is shaped almost like a very shallow bowl. It curves in the middle, creating a very shallow, curved lip around the edges. This shape is also sometimes called “taco cave”. It’s a very common shape on modern longboards, because it provides stable footing for most styles of riding. A tub concave board is more like a shallow casserole dish. The middle is flat, and the edges curve up, creating a slightly more severe lip than a radial concave board. The reason the edges (also known as rails) have this lip is to give your foot more support. This is perfect for downhill longboarding, because it decreases your chances of sliding your foot off the board as you maneuver or slide. This is a concave shape that is a compromise between radial and tub. The middle is flat, but the edges are more like radial concave, gradually becoming more severe in a curve rather than at an angle like a tub concave board. This shape is also used regularly for downhill, and is often a favorite of freeride longboarders. W concave and its many variations are perhaps the newest of these innovations. W concave is very simple to explain – it means that your board has a small hump in the middle. This hump is designed to support the arches of your feet. Your foot rests on the hump, keeping it in place when maneuvering. This will give you an incredibly stable ride, especially when paired with tub or progressive concave (which it often is), and is absolutely perfect for going downhill at high speeds. However, it can be very uncomfortable for some people depending on the structure of their feet. 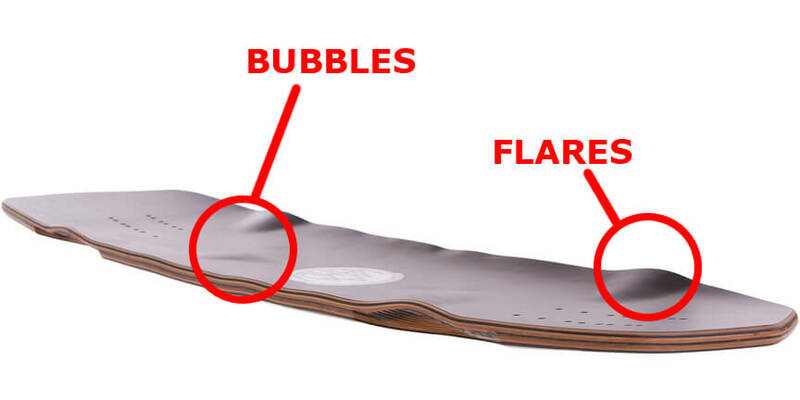 It’s also pretty much useless for anything other than downhill or freeriding, because it will hurt your feet to push off constantly on such an uneven board. Cleavage cave is also called “double w concave”. In simple terms, this means that there are two bumps on the board. This is the newest and rarest form of longboard concave, and is designed so that the board supports both the arch of your foot and the ball of your foot. Some people swear by it, especially for toeside slides. If you aren’t planning to do this particular maneuver, then it’s probably not for you. Cleavage cave boards are often difficult to find, but if you are looking for one then GoldCoast Skateboards has a few well priced options. 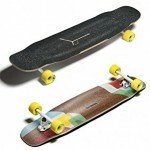 They also have a great range of longboards with many other types of concave surface. Concave bubbles are similar to w concave, except that the hump does not run the full length of the board. Instead the hump is in a discontinuous bubble that only extends over one part of the board. This feature is becoming very popular among downhill or freestyle riders who want to be flexible about how they use their board. The bubbles help them remain stable on the board, especially when sliding or maneuvering downhill, but the flat part of the board makes it comfortable when cruising. Variations in the concave shape of a longboard can make a huge difference when riding, especially for certain styles of longboarding. There is no doubt that the biggest longboard manufacturers are innovating new concave shapes as we speak, so keep an eye on online stores like SkateGoldCoast.com to keep up to date with innovations in the longboarding arena.